'디플로마트' 독재의 회귀 노린 박근혜 정부의 문건 - Newspro Inc.
미국의 디플로마트의 7월 15일자 아시아 퍼시픽 판에는 South Korea’s Authoritarian Past Echoes in Controversial Document (한국 독재의 과거, 논란의 문건에 재현)이라는 제목의 기사가 실렸다. 이 기사는 한국의 전 정부가 박근혜에 대한 반대시위가 걷잡을 수 없을 경우 군을 동원한다는 내용의 문건에 관한 것으로, 이 문건은 박근혜 정부를 둘러싼 논란을 다시금 불붙였고 지난 수십 년 간의 한국 군부 독재 정권의 기억을 되살렸다고 언급했다. 기사에 따르면, 7월 5일 더불어민주당 이철희 의원에 의해 폭로된 이 문건은 2017년 3월 헌법재판소가 박근혜 전 대통령의 탄핵을 판결하기 전 대한민국국군기무사령부(DSC)가 작성한 “전시 계엄 및 공동작전계획”이라는 제목의 문서이며, 그 문건에서 기무사령부는 헌법재판소가 박근혜 탄핵을 기각할 경우 큰 규모의 폭력적인 시위가 일어날 것을 예측하고 이를 진압하기 위해 특수부대 및 제 707 특수임무대대의 병력을 포함한 4,800명의 무장군을 동원하기 위한 구체적인 계획이 담겨있다고 말했다. 기사는 다시 한겨레 신문의 기사를 인용해 문건의 계획을 설명하면서, 그 내용은 “상황이 악화되는 정도에 따라” 점진적 보안 조치를 강화하고 “광화문 광장을 접수하기 위해 3개 여단, 여의도를 접수하기 위해 1개 여단을 배치”하는 등 매우 구체적이었으며 “그 문서는 당시 기무사령관 조현천에 의해 당시 한민구 국방장관에게 제출되었다.”고 밝히고 있다. 또, 군 작전 명령 권한이 없는 육군 참모총장이 부대 이동 명령과 같은 군부대를 배치하도록 명령하는 것은 불법이지만, 기무사령부 문건은 “먼저 육군 참모총장의 승인을 얻고 그 후에 합참의장과 국방장관의 승인을 얻기 위해 논란의 여지가 있는 “위수령”을 이용할 것을 제안했다면서 문제는 그 문서가 위수령 뿐만 아니라 계엄령 발효 역시 검토했다는 점을 언급했다. 기사는 한국 정부의 독재 시절을 거슬러 올라가 이 문건의 위험성에 대해 다루고 있다. 특히 전두환 정부는 위수령을 활용하여 군부 이동을 실행했으며, 전두환과 박정희는 계엄령을 통해군법으로 국가를 완전히 장악했다고 회고했다. 이 문제에 대해 문재인 대통령은 독립적인 수사를 지시했으며 7월 11일 국방부는 전익수 공군 대령을 책임자로 지명하고 서울중앙지검은 사건을 제 2공안부로 배정했다고 밝혔다. 다음은 뉴스프로가 번역한 <디플로마트>의 기사 전문이다. 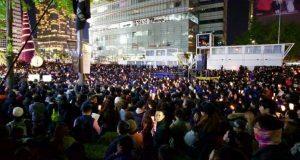 한국 정부는 박근혜 전 대통령에 대한 반대시위가 걷잡을 수 없을 경우 군을 동원한다는, 논란이 되고 있는 계획을 조사할 방침이다. Much Korea-focused analysis over the last week centered on U.S. Secretary of State Mike Pompeo’s visit to Pyongyang. Much like the Singapore summit before it, Pompeo’s latest excursion to Pyongyang was met with widespread skepticism, above all for the apparent lack of any actual substantive progress on negotiations surrounding North Korean denuclearization. This, of course, has not stopped President Donald Trump or Pompeo from declaring otherwise. 한국에 초점을 맞춘 분석들 대부분이 지난주 마이크 폼페이오 미국무장관의 평양 방문을 중심으로 이루어졌다. 평양 방문 이전 싱가포르 정상회담과 마찬가지로 폼페이오의 최근 평양 방문은 북한 비핵화를 둘러싼 협상의 실질적인 진전이 없다는 만연한 회의론에 부딪쳤다. 물론 이것은 도널드 트럼프 대통령이나 폼페이오가 그게 아니라고 선언하는 것을 막지는 못했다. To be fair, South Korea’s President Moon Jae-in reiterated the same massage, saying on Thursday during his visit to Singapore: “Negotiations between North Korea and the United States are now on the right track.” Even without a concrete deal in place, reduced tensions and avoidance of escalatory rhetoric and actions is a necessary step toward further progress. In this sense, at least, talks are on track. 한국 문재인 대통령도 목요일 싱가포르 방문 기간 “북한과 미국 간의 협상이 이제 올바른 궤도에 오르고 있다”고 말하면서 이와 같은 메시지를 반복했다. 구체적인 협상이 이루어진 것은 아니지만, 긴장 완화 및 고조되는 말싸움과 행위를 상호 피하는 것은 보다 나은 진전을 위해 필요한 단계이다. 이런 점에서 최소한 대화는 진행 중이다. 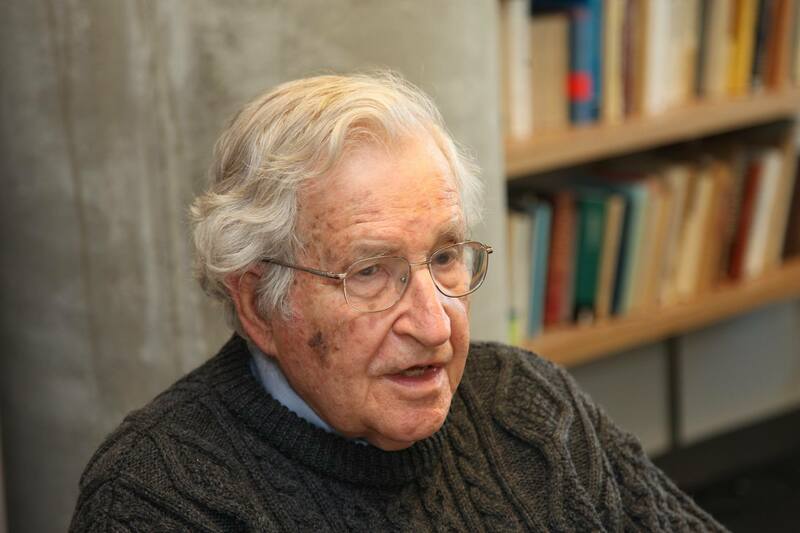 Setting aside the still fledgling U.S.-North Korea talks and the frustration and lack of substance attending them, another notable story this week saw echoes of South Korea’s not-too-distant authoritarian past. 아직 초기 단계인 북-미 회담과 실망, 그리고 회담 내용의 결여는 제쳐 두고 이번 주에 또 하나의 주목할 만한 이야기는 한국의 그리 멀지 않은 과거 독재정권의 환영을 보여주었다. 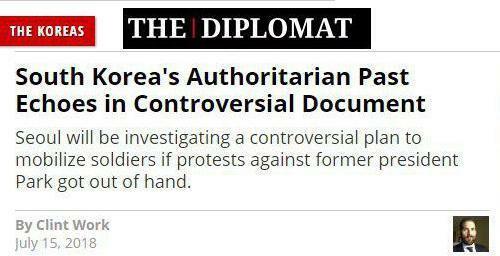 As reported in the Korean and American press, recent revelations have once again sparked controversy around the administration of former and now impeached and imprisoned South Korean president Park Geun-hye, and have brought echoes of South Korea’s decades-long experience with military-led dictatorships. 한국과 미국의 언론에 보도된 바에 의하면, 최근에 드러난 사실들은 현재는 탄핵되어 수감된 박근혜 전 한국 대통령 정부를 둘러싼 논란을 다시금 불붙였고 지난 수십 년 간의 한국 군부 독재 정권의 기억을 되살렸다. On July 5, Democratic Party lawmaker Rep. Lee Cheol-hui released a document titled “Wartime Martial Law and Joint Action Plan,” drawn up by the ROK military’s Defense Security Command (DSC) before the Constitutional Court ruled on ex-President Park’s impeachment in March 2017. 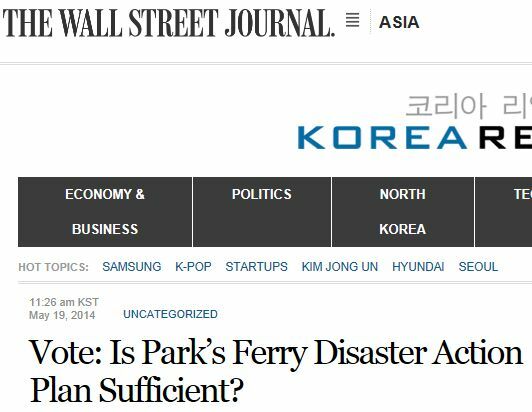 In it, the DSC detailed plans for the mobilization of 4,800 armed soldiers, including special forces and members of the 707th Special Mission Battalion, to quell what the DSC expected would be large-scale, violent protests if the court rejected Park’s impeachment. 7월 5일 더불어민주당 이철희 의원은 2017년 3월 헌법재판소가 박근혜 전 대통령의 탄핵을 판결하기 전, 대한민국국군기무사령부(DSC)가 작성한 “전시 계엄 및 공동작전계획”이라는 제목의 문서를 폭로했다. 그 문건에서 기무사령부는 헌법재판소가 박근혜 탄핵을 기각할 경우 큰 규모의, 폭력적인 시위가 일어날 것을 예측하고 이를 진압하기 위해 특수부대 및 제 707 특수임무대대의 병력을 포함한 4,800명의 무장군을 동원하기 위한 구체적인 계획을 세웠다. 한겨레 신문의 김태규 기자가 쓴 것처럼, 그 계획은 “상황이 악화되는 정도에 따라” 점진적 보안 조치를 강화하고 “광화문 광장을 접수하기 위해 3개 여단, 여의도를 접수하기 위해 1개 여단을 배치하는 등 매우 구체적이었다. “그 문서는 당시 기무사령관 조현천에 의해 당시 한민구 국방장관에게 제출되었다.” 군 작전 명령 권한이 없는 육군 참모총장이 부대 이동 명령과 같은 군부대를 배치하도록 명령하는 것은 불법이지만, 기무사령부 문건은 “먼저 육군 참모총장의 승인을 얻고 그 후에 합참의장과 국방장관의 승인을 얻기 위해 논란의 여지가 있는 “위수령”을 이용할 것을 제안했다. Although the main plan in the document called for use of the “garrison decree,” it also reviewed the idea of issuing a martial law decree, which differs from the former by putting the entire government under military control. Former president and military dictator Chun Doo-hwan, who was commander of the DSC in 1979, utilized a similar garrison decree when he deployed the army during his December 12, 1979 coup, securing approval from Army Chief of Staff Chung Seung-hwa and President Choi Kyu-hah after he had executed his move. Both Chun and his predecessor, military-authoritarian dictator Park Chung-hee (Park Geun-hye’s father), also instituted martial law, seizing complete control of the country by military decree. 비록 그 문서의 주요 계획은 “위수령”의 사용을 요구했지만, 그 문서는 계엄령 발효 역시 검토했으며, 계엄령은 위수령과 달리 정부 전체를 군 통제하에 두게 된다. 1979년 기무사령부 사령관이었던 전 대통령이자 군부 독재자 전두환은 1979년 12월 12일 쿠데타에서 부대를 배치할 당시 유사한 위수령을 활용해서 이미 부대 이동을 실행한 후 정승화 육군 참모총장과 최규하 대통령의 승인을 얻어냈다. 전두환과 그의 전임자인 군부 독재자 박정희(박근혜의 아버지)는 또한 계엄령을 내리고 군법으로 국가를 완전히 장악했다. 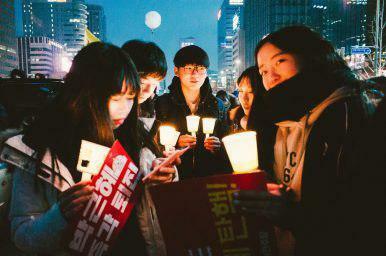 Since the revelations, Moon Jae-in has ordered an independent investigation of the issue. On July 11, the Ministry of Defense appointed Jeon Ik-su, a colonel in the ROK Air Force, as head of the special team tasked with investigating the DSC and the leaked document. In addition, the Seoul Central District Prosecutors’ Office assigned the case to its 2nd pubic security department. Former Defense Minster Han Min-goo, DSC Commander Cho, and Park’s former Blue House National Security Advisor (and defense minister before Han) Kim Kwan-jin are all likely subjects of the investigation. Kim is reported by some to have ordered the drafting of the plan. The plan also called for the president to use her veto powers in the event the National Assembly successfully passed legislation to abolish the Garrison Act, and also devised methods to control the media through a combination of censorship and propaganda. 문건 폭로 이후 문재인 대통령은 이 문제에 관한 독립적인 수사를 지시했다. 7월 11일 국방부는 전익수 공군 대령을 기무사령부, 그리고 유출된 문건을 수사하는 직무를 맡은 특별팀의 책임자로 지명했다. 게다가 서울중앙지검은 그 사건을 제 2공안부로 배정했다. 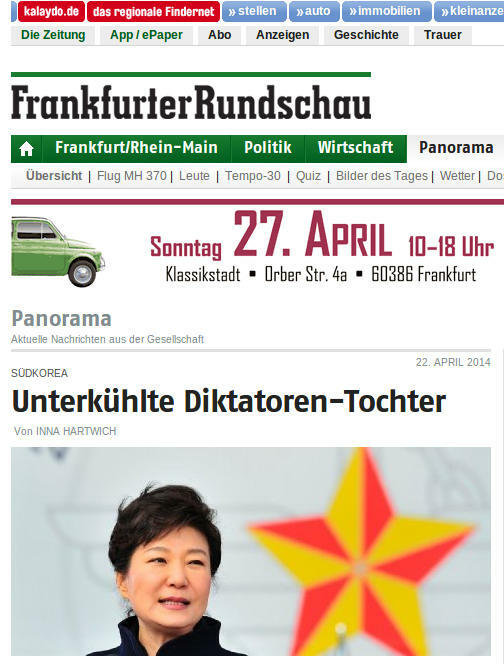 한민구 전 국방장관과 조현천 기무사령관, 박근혜의 전 청와대 국가안보실장 김관진(한민구 이전 국방장관) 모두 수사 대상일 가능성이 높다. 김관진은 그 계획의 초안을 작성하도록 지시한 것으로 알려져 있다. 그 계획은 또한 국회가 성공적으로 위수령을 폐지하는 법안을 통과시킬 경우 대통령이 거부권을 행사할 수 있도록 요구했으며 아울러 검열과 선전을 통해 언론을 통제할 수 있는 방법을 강구했다.